COLORADO SPRINGS, Colo. – July 24, 2012 – As Greg Stubblefield, chief strategy officer of the world’s largest car rental company, addressed the Department of Homeland Security’s second annual “Building Resilience through Public-Private Partnerships” conference today, he explained how Enterprise Rent-A-Car operates as a key service provider in many cities’ and towns’ local transportation infrastructure – and supports the needs of American communities in times of disaster. Examples included Enterprise’s supportive role in responding to Hurricane Irene as well as the more recent wildfires in Colorado. Enterprise Rent-A-Car is the flagship brand of Enterprise Holdings, which also owns the National Car Rental and Alamo Rent A Car brands and operates a worldwide network of more than 7,700 neighborhood and airport locations. Stubblefield described the company’s recent work to pull more than 100 trucks from airport and other operations to aid the U.S. Forest Service in its battle with Colorado’s wildfires. As the fires continue to come under control and displaced families are able to assess the damage to their property, Enterprise also is there to assist them and provide rental cars as necessary. In 2011, when Hurricane Irene hit the Eastern Seaboard, the storm caused power outages that affected more than 7 million homes and businesses and caused $15 billion in damages. The Department of Homeland Security/Federal Emergency Management Agency (FEMA) Urban Search and Rescue began working with the Enterprise Rent-A-Car team several days before Hurricane Irene hit to begin planning and relocating trucks and minivans to facilitate a faster cleanup and repair effort from North Carolina to New Jersey. The company also provided vehicles – primarily pick-up trucks – to Public Service Electric and Gas Company (PSE&G) in Newark. “Hurricane Irene impacted several of our operating groups across several regions and while specific details of each group’s efforts may vary, the basic operating plan and procedures were the same,” said Stubblefield. To facilitate this kind of emergency response, he added, each Enterprise regional operation has an Emergency Action Plan. It includes a Business Continuity Plan that features a life-safety guide identifying what to do in the event of an emergency, a contact list for key personnel and disaster recovery guidelines for daily rental branches. The plan also focuses on how Enterprise’s branch offices communicate with each other to ensure that the right number and types of vehicles are available where they are needed most. 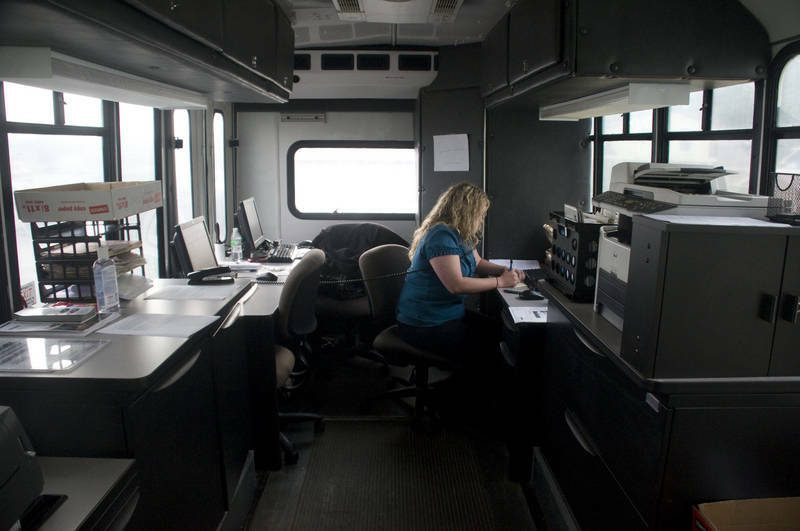 In addition, Enterprise Rent-A-Car has created a Mobile Emergency Response Vehicle (MERV) to operate as a portable and state-of-the-art branch office in the event of an emergency in the U.S. or Canada. The 32-foot bus originally was a 22-passenger airport shuttle, but today is equipped with three workstations, five computers and a front counter. MERV also can operate for more than 120 hours on a generator, providing on-site assistance even if local power has not yet been restored. The Building Resilience through Public-Private Partnerships conference is sponsored by the U.S. Northern Command (USNORTHCOM) in collaboration with the FEMA Private Sector Division and the Department of Homeland Security Private Sector Office. It cultivates public-private collaboration and networking in support of the various roles the private sector plays in emergency management by engaging individual businesses, trade associations and other nongovernmental organizations and works to promote public-private partnerships and best practices to improve the nation's homeland security. The Enterprise Rent-A-Car Mobile Emergency Response Vehicle (MERV) provides emergency vehicle access support during the 2010 Nashville flood. Enterprise operates more than twice as many locations as its nearest U.S. competitor and continues to lead the home-city market, with local car rental revenues currently experiencing double-digit growth. 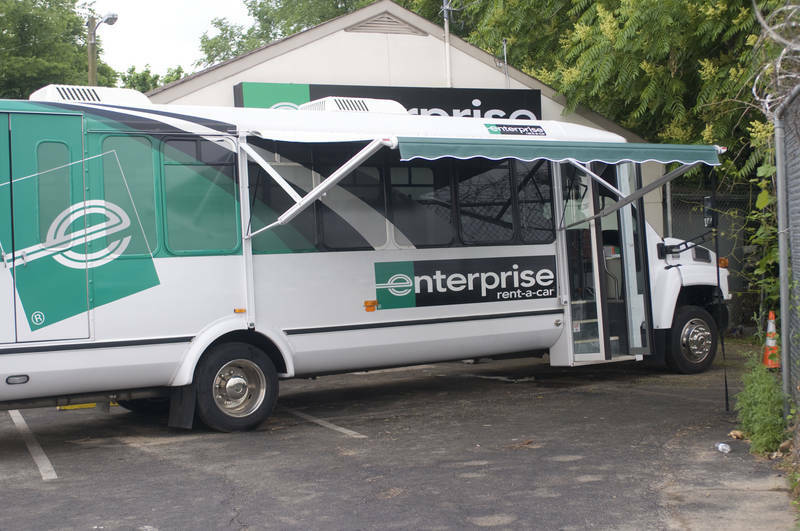 Enterprise Rent-A-Car operates not only as a key provider for insurance replacement, weekend getaways and special occasions, but also as a local transportation alternative. Enterprise received a 2010 Business Traveler Innovation Award – sponsored by the National Business Travel Association (NBTA) and The Wall Street Journal – for its outstanding and original environmental efforts in the travel industry. For more information about Enterprise’s Corporate Sustainability Report or the company’s environmental stewardship and long-term commitment to the sustainability of its business, visit www.DrivingFutures.com and follow @LeeBroughton on Twitter. St. Louis-based Enterprise Holdings owns and operates – through its regional subsidiaries – the Enterprise Rent-A-Car brand in the United States, Canada, UK, Germany and Ireland. With annual revenues of $14.1 billion and more than 70,000 employees, Enterprise Holdings also operates more than 1.2 million cars and trucks, making it the largest and most comprehensive car rental service provider in the world measured by revenue, employees and fleet. In addition to car-sharing and vanpool programs, Enterprise and its affiliates offer business and retail customers a total transportation solution, including hourly rental and car leasing and the Enterprise Car Sales, Enterprise Commercial Trucks and Enterprise Fleet Management business lines. For more information about Enterprise local and airport car rental as well as vehicle leasing, car sharing and vanpooling options, visit www.enterprise.com. This news release and other announcements are available at the Enterprise Holdings press room. Founded in 1957 and known for an extensive network of locations, everyday low rates and outstanding customer service, Enterprise Rent-A-Car is an internationally recognized brand that has been named to BusinessWeek magazine’s annual list of “Customer Service Champs” in 2007, 2008, 2009 and 2010.